A great artist can be anyone without irrespective of age. One of them is a teenage boy MattyB. He is known for his cover songs like Loyal; She Looks So Perfect, Fancy, Run This Town and many more. The cover song has amassed more than millions of views. He is a teenage artist who is also a songwriter and has launched his songs like Slow Down, Little Bit, Stuck In The Middle, and many more. So, Let’s dig into more about his personal life and unfold all the unknown facts about this artist! MattyB was born in the town of Atlanta, Georgia, the United States on 6th January 2003. He is native American and belongs to white ethnicity. His zodiac sign is Capricorn. He is born to the Moris family to Tawny Morris and Blake Morris Sr. He was raised up with siblings Brother: Blake Jr., Josh, Matthew and adopted John Michael, Sarah Grace. Currently, Matty is studying at Wesleyan School in Atlanta Suburb. 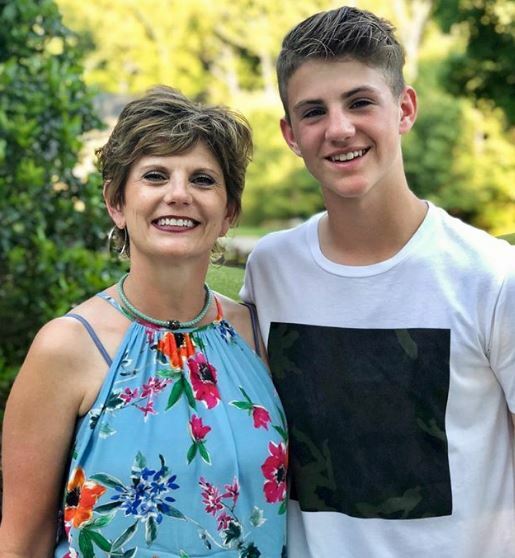 Parents Tawny Morris and Blake Morris Sr.
MattyB is one of the uprisings Amercian singers and rappers. Before vlogging, he came to fame from his cover of favorite songs on YouTube. He created his YouTube channel in 2010 and started uploading the song cover on his channel with consistent uploads. He amassed massive popularity with Justin Bieber’s Eenie Meenie cover. As per the Socialblade, Matty B monthly income dwells around $4.2K – $67.4K from his Vlog channel and $12.2K – $195.5K form his another channel. Although he doesn’t have a specific salary, it is apparent that he earns a hefty amount of fortune from social media. 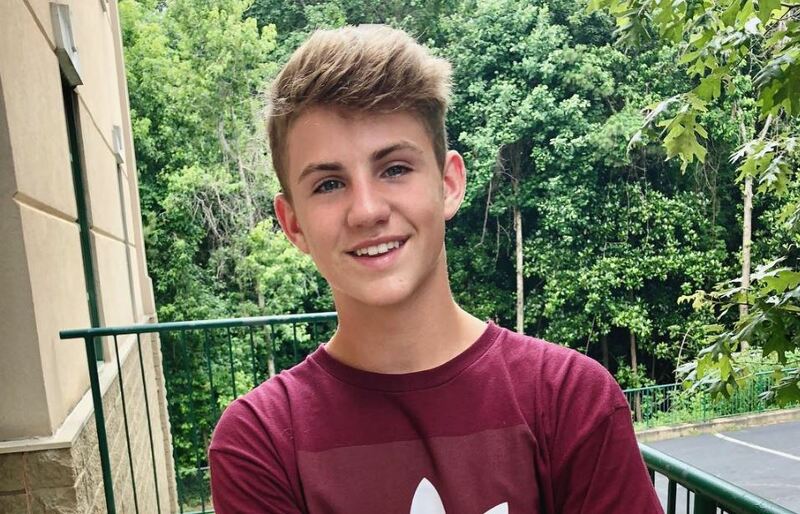 As of 2018, MattyB’s net worth estimated at $1.5 million. In the video, MattyB has broked his arm, and his friend Kate Cadogan came to see with some presents. Matty and his so-called girlfriend gave him indication to be together. She gave him a handmade card to recover him soon and proposed him to get married. Although she has tagged him as her boyfriend, are they dating each other? MattyB gets romantically linked with the tag it is yet to be official of him dating Kate Cadogen. Perhaps he is just focusing on his budding career than getting involved in a dating relationship. MattyB was born in the house of Morris family to father Blake Morris Sr. and Mother Tawny Morris. His father is from Texas worked as Entrepreneur, investor, and founder of several companies. He is also the producer of his son Matthew. His parents raised him along with four siblings; brothers Blake Jr., Josh, Michael and sister Sarah Grace. Moreover, his brother Michael and sister Sarah are adopted, but Matt loves his siblings a lot and often shared family picture of social media. 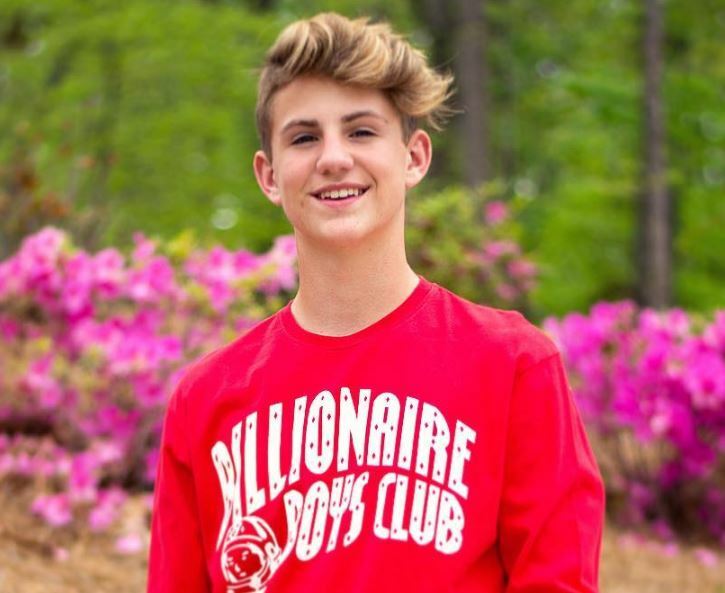 As an American songwriter and rapper, MattyB’s height is measured at 1.7 m and weighs about 60 kg. He has white skin, blonde hair, and a greyish eye.